name of former Mumbai police commissioner and 1980 batch IPS, Satyapal Singh as its nominee for Baghpat, a constituency in Western UP, currently held by civil aviation minister and RLD chief Ajit Singh. 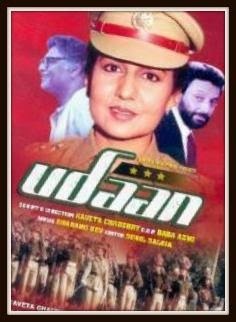 The TV serial Udaan, written and directed by Kanchan Chaudhary Bhattacharya’s sister Kavita Choudhary, was a story of a woman who aspires to be an IPS officer, and how she struggles to realize her dream, making this 25-year-old serial the first ever serial on woman empowerment. Shekhar Kapur, who later directed the critically acclaimed Bandit Queen, also acted in the serial, playing the role of an IAS officer proposing to marry the protagonist, Kalyani Singh, IPS. Meanwhile, Satyapal Singh who left his high-profile job of Mumbai Police Commissioner to plunge into active politics has been given ticket by the BJP to take on Ajit Singh at Baghpat, located in the outskirt of the national capital of Delhi. Satyapal Singh, a 1980 batch IPS officer, is considered to be an efficient police officer, but what made him grabbing headlines was his specialization in many other non-conventional areas. “His domain knowledge and understanding of Yoga, Vedas and Swami Vivekananda could make many religious experts envious,” BoI wrote in an article dated October 21, 2011 when Singh, as Maharashtra’s additional director general of police, was personally reviewing the security of anti-graft crusader Anna Hazare at Ralegan Siddhi. Hazare was AAP chief Arvind Kejriwal’s guru then. And that’s why there were rumours that Singh might join the AAP when the news of his resignation as Mumbai police commissioners first appeared in media. But, Singh preferred to join the BJP instead. Singh, an M Phil in chemistry from the University of Delhi, is also an MBA from Australia. Singh holds a PhD in public administration too. Now the question remains whether these two celebrated former IPS officers actually manage to win their electoral battles. Obviously, it will be known only on May 16 when the results are scheduled to be announced. Madam Kanchan Chaudhry has been an inspiration to many woman aspirants to the Civil Services. The serial Udaan had captured the imagination of young girls and the serial was a rage. I wish her best of luck and hope she wins. It will be good for democracy to have low profile achievers at helm of affairs. This is only way goondas can be eased out from politics, by entry of good people. Jhadu maro saaf karo abhiyaan of aam aadmi party will get a boost. It was time when politics was only for certain people but after the revolution of Aam Aadmi Party the basic meaning of politics has changed and it creates positive knowledge that every one can enter in to politics including common men also. This is a great news that Kanchan Chaudhry entered in to politics and it gives a hope for all the women in our country fora better justice.